One can foresee the next steps. A million and a half Arab citizens cannot be expected to recognize Israel as a Jewish and Democratic State. They want it to be “a state of all its citizens” – Jews, Arabs and others. They also claim with reason that Israel discriminates against them, and therefore is not really democratic. And, in addition, there are also Jews who do not want Israel to be defined as a Jewish State in which non-Jews have the status, at best, of tolerated outsiders. The consequences are inevitable. The prisons will not be able to hold all those convicted of this crime. There will be a need for concentration camps all over the country to house all the deniers of Israeli democracy. The police will be unable to deal with so many criminals. It will be necessary to set up a new unit. This may be called “Special Security”, or, in short, SS. Hopefully, these measures will suffice to preserve our democracy. If not, more stringent steps will have to be taken, such as revoking the citizenship of the democracy-deniers and deporting them from the country, together with the Jewish leftists and all the other enemies of the Jewish democracy. After the preliminary reading of the bill, it now goes to the Legal Committee of the Knesset, which will prepare it for the first, and soon thereafter for the second and third readings. Within a few weeks or months, it will be the law of the land. By the way, the bill does not single out Arabs explicitly – even if this is its clear intention, and all those who voted for it understood this. It also prohibits Jews from advocating a change in the state’s definition, or the creation of a bi-national state in all of historic Palestine or spreading any other such unconventional ideas. One can only imagine what would happen in the US if a senator proposed a law to imprison anyone who suggests an amendment to the Constitution of the United States of America. THE BILL does not stand out at all in our new political landscape. This government has already adopted a bill to imprison for three years anyone who mourns the Palestinian Naqba – the 1948 uprooting of more than half the Palestinian people from their homes and lands. The sponsors expect Arab citizens to be happy about that event. True, the Palestinians were caused a certain unpleasantness, but that was only a by-product of the foundation of our state. The Independence Day of the Jewish and Democratic State must fill us all with joy. Anyone who does not express this joy should be locked up, and three years may not be enough. The sponsors of the law hope, perhaps, that on Naqba Day the Arabs will dance in the streets, plant Israeli flags on the ruins of some 600 Arab villages that were wiped off the map and offer up their thanks to Allah in the mosques for the miraculous good fortune that was bestowed on them. THIS TAKES me back to the 60s, when the weekly magazine I edited, Haolam Hazeh, published an Arabic edition. One of its employees was a young man called Rashed Hussein from the village of Musmus. Already as a youth he was a gifted poet with a promising future. He told me that some years earlier the military governor of his area had summoned him to his office. At the time, all the Arabs in Israel were subject to a military government which controlled their lives in all matters big and small. Without a permit, an Arab citizen could not leave his village or town even for a few hours, nor get a job as a teacher, nor acquire a tractor or dig a well. The governor received Rashed cordially, offered him coffee and paid lavish compliments to his poetry. Then he came to the point: in a month’s time, Independence Day was due, and the governor was going to hold a big reception for the Arab “notables”; he asked Rashed to write a special poem for the occasion. Rashed was a proud youngster, nationalist to the core, and not lacking in courage. He explained to the governor that Independence Day was no joyful day for him, since his relatives had been driven from their homes and most of the Musmus village’s land had also been expropriated. When Rashed arrived back at his village some hours later, he could not help noticing that his neighbors were looking at him in a peculiar way. When he entered his home, he was shocked. All the members of his family were sitting on the floor, the women lamenting at the top of their voices, the children huddling fearfully in a corner. His first thought was that somebody had died. It appeared that the governor had called the family and told them that Rashed had refused to fulfill his duty to the state. The threat was clear: from now on, the extended family, one of the largest in the village, would be on the black list of the military government. The consequences were clear to everyone. Rashed could not stand up against the lamentation of his family. He gave in and wrote the poem, as requested. But something inside him was broken. Some years later he emigrated to the US, got a job there at the PLO office and died tragically: he was burned alive in his bed after going to sleep, it appears, while smoking a cigarette. THESE DAYS are gone forever. We took part in many stormy demonstrations against the military government until it was finally abolished in 1966. As a newly elected Member of Parliament, I had the privilege of voting for its abolition. The fearful and subservient Arab minority, then amounting to some 200 thousand souls, has recovered its self-esteem. A second and third generation has grown up, its downtrodden national pride has raised its head again, and today they are a large and self-confident community of 1.5 million. But the attitude of the Jewish Right has not changed for the better. On the contrary. In the Knesset bakery (the Hebrew word for bakery is Mafia) some new pastries are being baked. One of them is a bill that stipulates that anyone applying for Israeli citizenship must declare their loyalty to “the Jewish, Zionist and Democratic State”, and also undertake to serve in the army or its civilian alternative. Its sponsor is MK David Rotem of the “Israel is Our Home” party, who also happens to be the chairman of the Knesset Law Committee. A declaration of loyalty to the state and its laws – a framework designed to safeguard the wellbeing and the rights of its citizens – is reasonable. But loyalty to the “Zionist” state? Zionism is an ideology, and in a democratic state the ideology can change from time to time. It would be like declaring loyalty to a “capitalist” USA, a “rightist Italy”, a ”leftist” Spain, a “Catholic Poland” or a “nationalist” Russia. This would not be a problem for the tens of thousands of Orthodox Jews in Israel who reject Zionism, since Jews will not be touched by this law. They obtain citizenship automatically the moment they arrive in Israel. Another bill waiting for its turn before the Ministerial Committee proposes changing the declaration that every new Knesset Member has to make before assuming office. Instead of loyalty “to the State of Israel and its laws”, as now, he or she will be required to declare their loyalty “to the Jewish, Zionist and Democratic State of Israel, its symbols and its values”. That would exclude almost automatically all the elected Arabs, since declaring loyalty to the “Zionist” state would mean that no Arab would ever vote for them again. It would also be a problem for the Orthodox members of the Knesset, who cannot declare loyalty to Zionism. According to Orthodox doctrine, the Zionists are depraved sinners and the Zionist flag is unclean. God exiled the Jews from this country because of their wickedness, and only God can permit them to return. Zionism, by preempting the job of the Messiah, has committed an unpardonable sin, and many Orthodox Rabbis chose to remain in Europe and be murdered by the Nazis rather than committing the Zionist sin of going to Palestine. THE FACTORY of racist laws with a distinct fascist odor is now working at full steam. That is built into the new coalition. At its center is the Likud party, a good part of which is pure racist (sorry for the oxymoron). To its right there is the ultra-racist Shas party, to the right of which is Lieberman’s ultra-ultra racist “Israel is our Home” party, the ultra-ultra-ultra racist “Jewish Home” party, and to its right the even more racist “National Union” party, which includes outright Kahanists and stands with one foot in the coalition and the other on the moon. All these factions are trying to outdo each other. When one proposes a crazy bill, the next is compelled to propose an even crazier one, and so on. All this is possible because Israel has no constitution. The ability of the Supreme Court to annul laws that contradict the “basic laws” is not anchored anywhere, and the Rightist parties are trying to abolish it. Not for nothing did Avigdor Lieberman demand – and get – the Justice and Police ministries. Just now, when the governments of the US and Israel are clearly on a collision course over the settlements, this racist fever may infect all parts of the coalition. If one goes to sleep with a dog, one should not be surprised to wake up with fleas (may the dogs among my readers pardon me). Those who elected such a government, and even more so those who joined it, should not be surprised by its laws, which ostensibly safeguard Jewish democracy. The most appropriate name for these holy warriors would be “Racists for Democracy”. "The sage of Israel"? "Founder of the Israeli peace movement"? I really think these claims are a bit excessive. 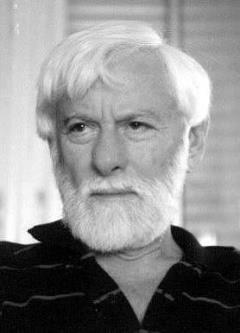 Uri Avnery is merely the icon of a largely ineffective personality cult. Western audiences have a peculiar tendency to venerate "Jewish sages", especially when white-haired and snowy-bearded. Avnery's actual position is simply a pre-1967 left-zionist two-state one. Arguably this has been left behind by events on the ground, which suggest that only a single state between the river and the sea, with equal democratic rights for all its inhabitants, is at all realistic. I AM writing this (may God forgive me) on Yom Kippur. Exactly 43 years ago, at this exact moment, the sirens sounded.